Mittoshop is a premier women fashion manufacturer and wholesaler. The fashion house head office is located in Los Angeles. 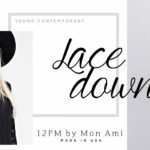 The fashion manufacturer targets contemporary women who are looking for trendy, free, and innovative casual fashion. It manufacturers all its labels and does not distribute brands from other companies. For those who would like to visit the factor, its showroom is located in the Fashion District of Los Angeles. For retailers looking for quality styles to offer their customers, the information below may be of importance to you. From time to time, Mittoshop offers trendy new fashion pieces on the website. Some apparel is offered in limited edition while others stay longer. They present you with something unique to present to your clients when they visit the boutique. The best sellers depend on the season and trending styles, flare dresses, tank, knit dresses, as well as dress shirts are the best sellers for the summer period while woven jackets and cardigans make the biggest share of the orders during or prior to the winter season. Mittoshop offers discounted offers to the retailers in selected products. The discounted offers are available on the website. For the wholesale buyers that love quality dresses, Mittoshop stocks a variety of dresses including knee-length bell sleeve dresses, cold shoulder peasants, teal blouson dresses, shirtdresses, swing dresses, V-back dresses and much more. 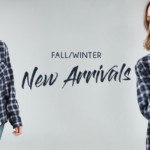 As for the tops, there is a choice of keyhole tanks, scoop neck tees, plaid notch neck tops, bell sleeve tops, blouson tops, cape sleeve tunics, and hooded tops among others. There are tens of cardigan and jacket styles for both the cold winter and the warm summers. Common styles include the open jacket, the woven dolman tops, hooded fleece jackets, fleece vests and so much more. Again, the material choice depends on the need for warm and style. 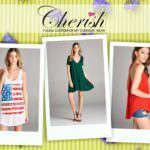 Mittoshop offers a variety of tie and dye prints dresses and tops that look glamorous especially the spring and summer seasons. There are also a variety of rompers and bottoms to the savvy wholesale buyers. Retailers who would like to buy the apparel need to sign up at the website by filling the business details. Expect a call from the wholesaler before the account is opened. Their sales terms are lenient, and their return policy is not very strict. Thus, if your market is the same group as their target market, they have trendy outfits that your customers would love. - Tea N Rose : Women's clothing brand that specialized in modest, elegant and fashionable clothing. - En Crème : Specialize in manufacturing and wholesaling women's junior apparel. Great, speedy and friendly service every time! Sign up our Newsletter for wholesale brands reviews, discount codes, and promotions. A wonderful vendor with wellmade on trend clothing and outstanding customer service. We will be back for more!